Whether for practical or aesthetic use, exterior stairway lighting can create an instant impact to the exterior of your home. Before beginning your selection, it is important to consider the look you wish to achieve. For example, if you are looking to make a contemporary statement, then highlighting focal points with lighting in the right areas, can illuminate your stairways and paths. 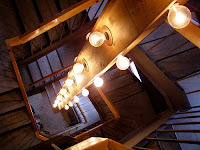 If your look is less-structured, then lighting the general area, to ensure the stairway is illuminated may be enough. Or you may be happy with lighting your garden stairs using lanterns and tealights, hung from the stairway balustrade. A classic choice might include a light at the top of the stairs (maybe an exterior light fitted to the house), and one at the bottom, maybe slightly hidden by a tree or shrub to diffuse the light. Or, try illuminating each stair individually with a spotlight on every stair, at each side of the stairway. 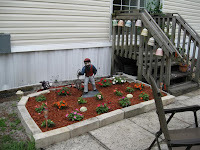 Solar powered lights that can be stuck in the ground at the side of the exterior stairway, charge up in the day and light up automatically as it gets dark. They don't give off a lot of light though and their shelf life isn't huge - you will probably need to replace them in a few years time. 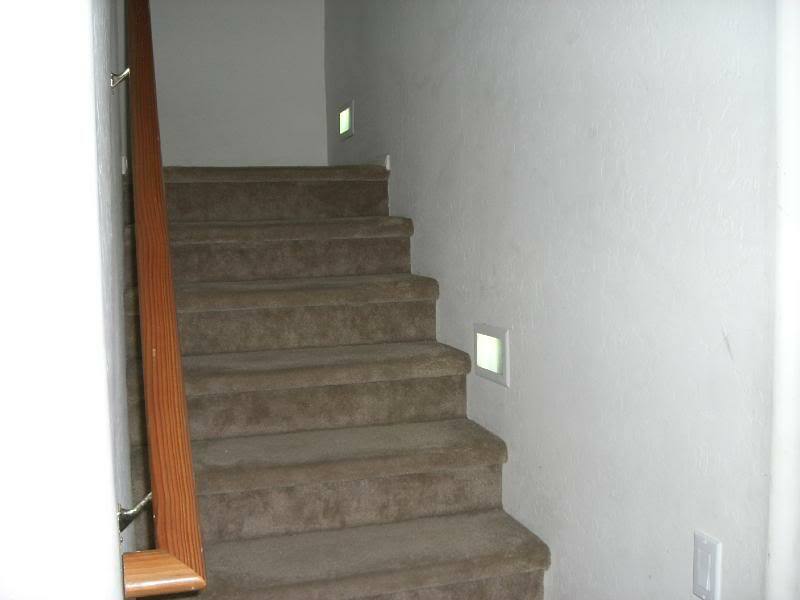 Offers a cheaper lighting option for your stairs and takes no wiring to install. Approximate cost: $6/ £4 each. Using a row of low-voltage halogen spotlights to mark the boundary of stairs work well only they will need wiring. The advantage over the solar lights is that they have a longer shelf - lamp can last up to 5000 hours. They are also more versatile in that you can adjust the beam angle. 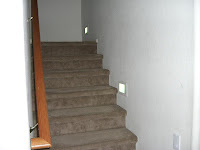 You could also use these lights on the outside wall of the stairs to spotlight something special. Approximate cost between $30-100/ £20-70 each, depending on chosen style. Ground decking lights/Marker lights, also use halogen spotlights, but are recessed into the stairs, or side wall giving a more contemporary and focused look. They will stand up to more wear and tear too, as most of them are designed to be walked on. 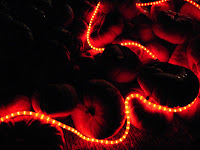 They can also come in different colors, but again will need wiring. Approximate cost $180/ £120 for a set of 10. Solar Step Lights, on each step, look good, need no wiring and are even mower resistant, so can stand up to a lot of use and abuse. Mount directly onto each step, or fix to the side stair wall. Approximate cost: $35/ £22 each. Motion sensor lights/Security lights, only come on when the sensor detects movement, so saves money on electricity. However they can be very bright, and will even go off if a cat walks past. This options offers a security aspect too, and now come in more styles now than just 'floodlight'. Approximate cost, anywhere from $30/ £20 and up. Using an exterior light string on your stairway is a fun and flexible option, as well as being cheap to purchase. Wrap the string around or across the top of the balustrade, along the bottom of each step, or use to define the shape of each step. Doesn't give out a huge amount of light, but is enough to safely illuminate exterior stairways and give a soft look. Usually need wiring but solar options are available. Approximate cost $15/ £10 per string. Lanterns, hung on the balustrade of stairs is another pretty option. You can either opt for the candle variety, or bulb operated, and they come in a huge range of designs from small glass tealight options, to larger Moroccan style affairs. Easy to install, but may not suit everyone's tastes. Approximate cost $1-300 /£1-200, depending on design. 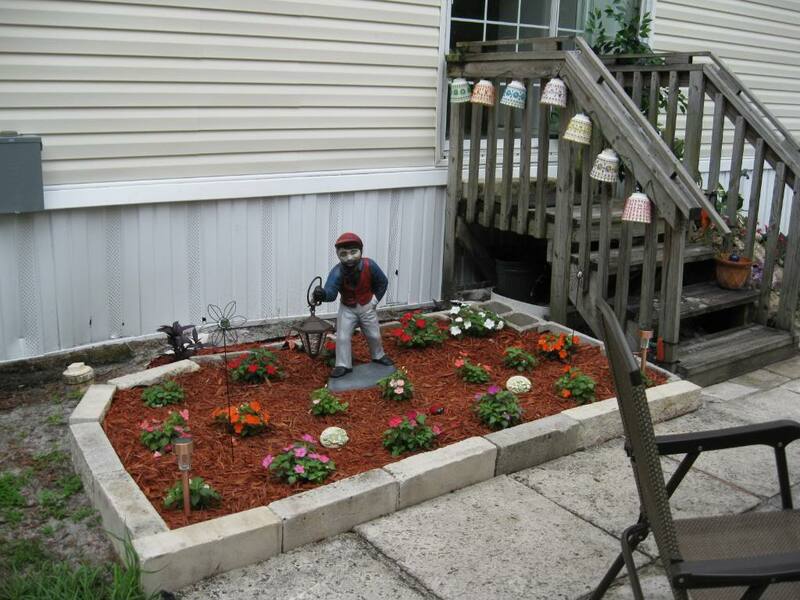 There are of course, other options for lighting your exterior. Stairway lighting, need not be entirely stairway focused, you could try illuminating the general area around it - a string of fairy lights wrapped round a nearby tree would look pretty as well as lighting up the stairs, or make a real lighting feature of a sculpture, water feature or large plant with a large colored light beneath it. For the bottom of the stairs, you could add real wow factor by installing a large outdoor mirror on either side, and lighting this from beneath. No matter what type of stairway, garden, or budget, there is an exterior lighting option just waiting to be switched on.